One afternoon while my children and I were at a state park near our home celebrating with our church the sending of a missionary friend to India, we were told that there was an eagle’s nest in the park with little eaglets. Intrigued by the possibility of seeing real eagles in their natural habitat, my children and I walked over to the identified lookout post and began to watch for them. With the help of some binoculars provided by a professional bird watcher, we were able to spot the eagles and observe their elegant flight patterns in, out, and around their nestled home high up in one of the treetops. One thing that I’ve recently learned about eagles is that when it becomes time for their eaglets to leave the safety of their nests and learn to fly, the momma eagle begins to pull out all of the cushioned particles of the nest to make it prickly and uncomfortable. Additionally, she will take the eaglets in her grasp, fly high into the air, and then drop the eaglets toward the ground. Then right before they hit the ground – if they aren’t flying yet – she will swiftly fly underneath and pick them up under her wings. This routine will be repeated until each little eaglet learns how to safely fly on their own. Wow! As a leader, have you ever felt like the safety zone of your comfortable nests with people, places, and positions were being made prickly and uncomfortable because it was time for you to take flight into new realms of faith, promise, and purpose in God? 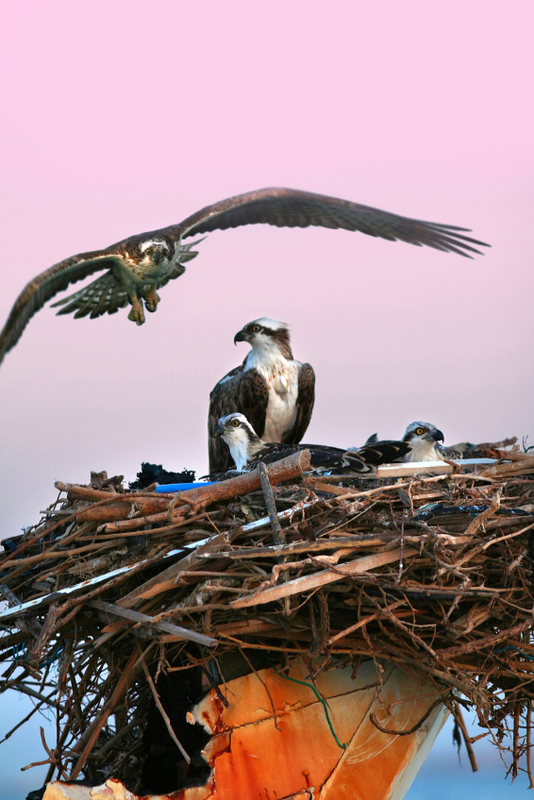 If you have, then like a little eaglet, you know what it feels like when the Lord calls you to leave the safety of the nest and completely trust Him until you learn how to fly in the good future He has planned for you. And unfortunately, it doesn’t matter how much gifting and talent that you and I may have been given at birth, if we don’t exercise those gifts and talents with faith in God, the Giver of those gifts, we will never learn how to properly fly into the great destiny that God has uniquely planned for each of us as leaders. The Make It Happen Risk-Taking Value: “Make It Happen” People Take Calculated Risks In The Pursuit Of Excellence! The Make It Happen Moment ® Talent Plus Copyright 2010, The Make It Happen Learning Institute. You have permission to reprint The Make It Happen Moment ® Talent Plus, in its entirety only, and forward to your colleagues and friends, provided the copyright notice remains part of the reprint and transmission. All other rights reserved. Thank you Brian! Your encouragement and friendship is a true blessing! Have a blessed evening! Gary B. Absolutely beautiful and right on. You continually impress your Mom. Thank you Mom! I hope to always be a blessing to you and make your heart glad. I love you!